The What: Altinex's RT300 Series retractable cable system is comprised of four models: the RT300-121, RT300-125, RT300-145, and RT300-155. The new RT300 Series cable retractors are a great solution for eliminating cable clutter in meeting spaces, lecture halls, presentation spaces, and similar environments. All four models are designed for use with the popular Altinex CNK200 and CNK221 Cable Nook interconnect boxes. 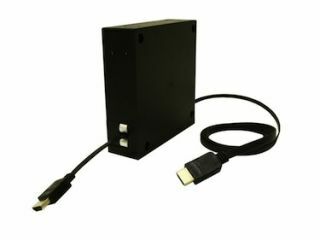 The What Else: When it’s time to make an HDMI or VGA video connection, RJ-45 connection, or a USB peripheral/charging connection, all you need to do is pull the cable up and out, and connect it to your device. When finished, disconnect the cable and it safely retracts back into the Cable Nook housing. All four RT300 Series models feature a rugged, compact form factor. Each model measures just 4.8 x 4.8 x 1.4 inches (height, width, depth).